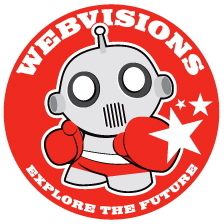 Not only is WebVisions an awesome event that explores the future of web and mobile design, technology, user experience and business strategy, but the event is also celebrating its 12th year in our backyard! This year’s event hosts an all-star lineup of visionary speakers, including Nathan Shedroff (author of Make it So and Design is the Problem), cyborg anthropologist Amber Case, Thomas Wester of Second Story Interactive Studios, Jeff White of Industrial Light & Magic, Thor Muller (author of Get Lucky), and more! ProtoShare WebVisions Discount: Select the Association Member rate with the code “PROTO” when you register. The event kicks off with Studio Tours, film screenings, a Hackathon for Social Good, the Business Innovation and Education Lab and networking parties galore. And of course, a full day of individually priced workshops followed by two days of sessions, keynotes and panels. Founder and CTO Andrew Mottaz will be hosting a roundtable discussion on Lean UX in the Main Hall on Thursday, May 17th at 12:30pm. Come learn about Lean UX or share your own experiences to benefit your peers. This entry was posted in Blog, Events, Industry. Bookmark the permalink.